D.C. is doing something different this season when it comes to snow removal: There's a new "non-motorized trail" work detail specifically assigned to clearing bike paths, bridge deck sidewalks and ramps compliant with the Americans with Disabilities Act at intersections. WASHINGTON — D.C. is doing something different this season when it comes to snow removal: There’s a new “non-motorized trail” work detail specifically assigned to clearing bike paths, bridge deck sidewalks and ramps compliant with the Americans with Disabilities Act at intersections. To help accomplish that, the city purchased new equipment. “It’s still a little too wide to do all of the (city’s) bike lanes, but it looks pretty good to do many of them, those that aren’t hemmed in by cars like the cycle track,” said Mary Cheh, chair of D.C. Council’s Committee on Transportation and the Environment. 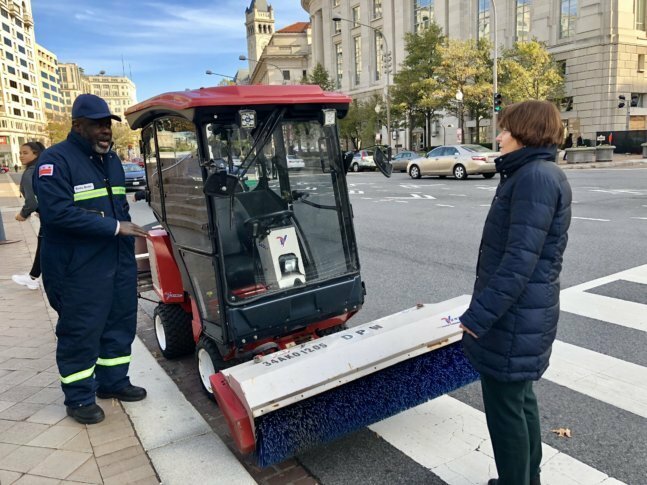 Cheh examined the new equipment after sponsoring a roundtable discussion on D.C.’s snow removal operations plan for winter 2018-19. This week’s snow melted off quickly. But, more significant snowfall plowed into piles can last months, which isn’t good when sidewalk cuts get blocked by walls of snow pushed by passing plows. 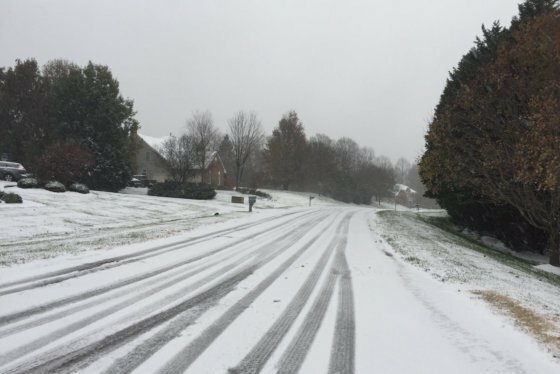 That has happened during previous snow events. “You’d have to practically climb Mount Kilimanjaro to get over some of them, the mounds they’d create,” Cheh said, remembering. Hearing about the Department of Pubic Work’s new commitment to clear ADA ramps at intersections pleases Cheh, who said it’s a quality-of-life issue. “For some people, it might simply be dangerous. But, for others — especially for seniors or people with disabilities — it basically prevents them getting around. They can’t go. They can’t go out,” Cheh said.